A memorial was held on Monday for a young motorcyclist who died last week in a crash and family and friends hope it will be a painful reminder of the dangers of speeding. Brennan Kootnekoff, 22, was killed after he crashed his bike into the back of a SUV last Tuesday on Memorial Drive. 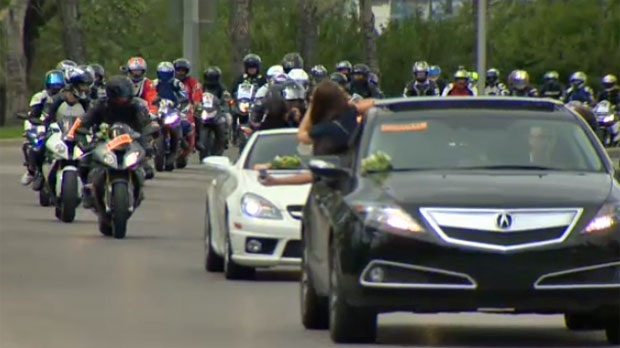 On Monday, dozens of riders joined a procession along Memorial Drive to honour the young man and the group slowed down near a make-shift memorial to pay their respects. Investigators don't know exactly what happened, but it is believed excessive speed was a factor. “There really are no words, but I can tell you that it’s a shock when anyone dies but when your best friend, your son dies, it’s a double whammy and it hurts. It really does,” said Jim. 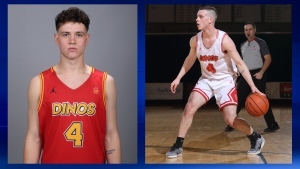 Brennan's father, Jim, hopes his son’s death will bring awareness to other riders and motorists about bike safety on the roads. Jim says there are many schools and resources out there for riders to learn the basics before they hit the road. There were 232 collisions on city streets involving motorcycles in 2012 and three of those were fatal. A procession of motorcycles makes its way down Memorial Drive to remember Brennan Kootnekoff. 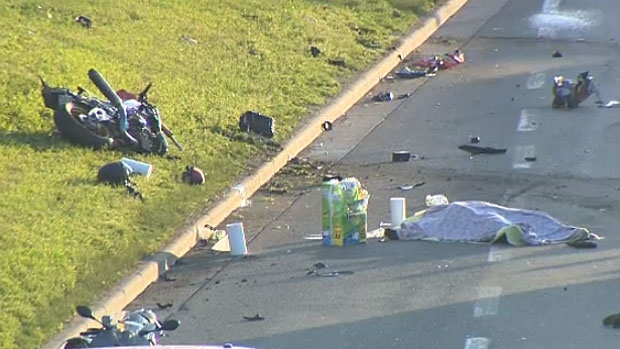 The Calgary Police Service say that speed could be a factor in a fatal crash that claimed the life of a motorcyclist on Tuesday night.